GeoInspections is a NACHI Certified home inspector that provides quality single & multi-family Home Inspections to the entire Kansas City, Missouri metro area. In addition, GeoInspections is Certified and/or Licensed to perform Foundation Inspections, professional Radon Testing, and Termite Inspections. We are based in Lee’s Summit and proudly offer our home inspection services to all of the Kansas City metro areas, let us put our professional home inspection experience at work for you! 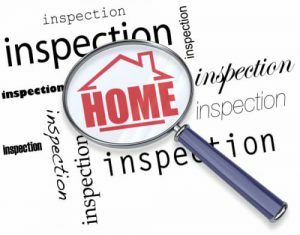 Call us at 816-506-0905 to schedule with a NACHI-Certified Home Inspector Pro. I began my career as a Geological Engineer. After 15 years, real estate investment lured me away. To keep cost downs I have done my own repairs and remodeling on my properties, which led me to do the same for many other investors… honing my skills as well as understanding all of the systems “under the roof”. Becoming a Certified Home inspector in Lees Summit, MO, and the Kansas City metro area has become a natural fit. I’m a Licensed Termite Inspector and a Certified Radon Monitor Technician as well. 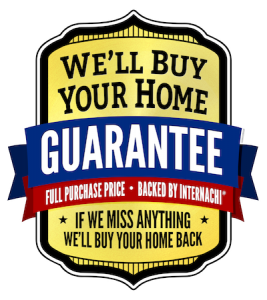 I am insured for your peace of mind and as an InterNACHI Certified Home Inspector… WE’LL BUY YOUR HOME BACK! if I miss something during the inspection. GeoInspections supports you and is very experienced to provide timely, experienced, and professional knowledge about your potential home investment in your negotiation process. Please click on that previous link to read about that process! This is what I do AND this is where I live AND work! As a home inspector that is NACHI Certified, we provide professional home inspections, termite inspection, radon testing, foundation inspection and pre-listing inspection services all over the Greater Kansas City Metropolitan Area including surrounding KC area communities like Lees Summit, MO, Blue Springs, MO, Olathe, Kansas, Independence, MO, Overland Park, KS and more. We appreciate you reading our website, and learning more about our business at GeoInspections, which is optimized by SEO Services KC, and we hope to be your local, dependable, NACHI-Certified home inspector service in the Kansas City, Missouri metropolitan area that you can depend on and trust for the inspection needs of your house for many years to come.